Hey guys, I am back with one more interesting mathematics topic. And I am pretty sure that you guys would find it interesting too because many of you must have faced problems regarding these arrangements. Although if you were not able to solve them at that moment of time I am sure after completing this article you would solve the problem in minutes or even seconds. Many people get confused between these two terms permutation and combination. They both have almost similar use but have a vast difference in their meaning. You may think that both of them mean arranging entities, then what is the difference ?? For making it easy we will take an example, lets say I have four friends : Arya, Bhavesh, Chirayu and Dhruv. So if I arrange them like Arya, Bhavesh, Chirayu and Dhruv or Dhruv, Chirayu, Bhavesh and Arya, it will make no difference in combinations but if you check them according to permutation they will be different. As the difficulty of the name suggests permutation is more complex and combination much simpler. In permutation every single detail and order matters while in combination such small details and order do not matter much. Now I could give Honda City to anyone of these 8. Now I could give Alto to any of these 7. Now time for the total calculation of the options. First we had 9 options then 8 options and at the last we were left with only 7 options. So the total options are 9*8*7 = 504. This 504 means that we could give these three cars in 504 ways and also none of them repeating. Have you ever thought that these 3 cars would take upto 504 ways. 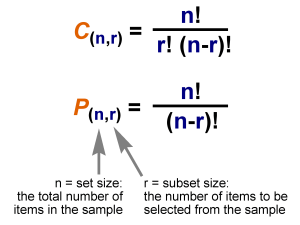 So consider the total number of entities to be "n" and the quantity we want to pick in order "r"
P(n,r) = n! / (n-r)! So I hope you got to know more about permutation and I promise in my next article you will also get to know more about Combinations. Thanks a lot for reading this article and spending your valuable time on this article.